None in the last 7 days. More redevelopment pictures from Home Park's south side. Comprehensive facts and stats for all things Argyle from 1903 to today. 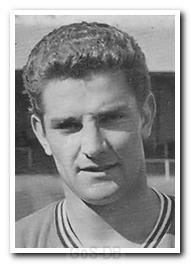 1970: One of the all-time greats, Norman Piper played his final game for the Pilgrims, a 3-0 defeat at Shrewsbury. Piper made his league debut five years earlier at just 17, and after England Youth international honours, he was chosen by Alf Ramsey for four Under-23 caps. This game was his 233rd for Argyle (37 goals); he then stepped up a division to join Portsmouth, where he made another 309 appearances. 1940: Mike Harrison - 15 games, 3 goals between 1967 and 1968. 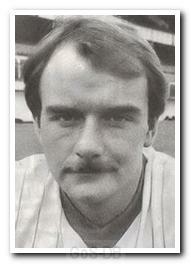 1960: Mike Carter - 13 games, 1 goal between 1982 and 1983. 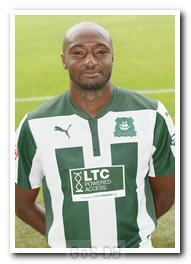 1983: Marvin Morgan - 42 games, 3 goals between 2013 and 2015. 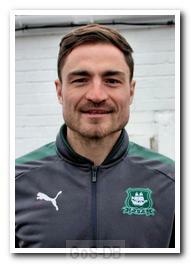 1987: Paul Paton - 3 games, no goals in 2018. 1995: Conor Grant - 15 games, no goals so far. The History of Argyle: the complete story of the club from 1886 to 1945. Greens on Screen’s first page was published in January 1999. Its early purpose was to bring Plymouth Argyle a little closer to those unable to see their team, and whilst it has changed a great deal over the years, its core themes - sites and sounds for Westcountry exiles - still stand. The site was very lucky to take on the content of Trevor Scallan’s Semper Viridis in the summer of 2007, and in 2009 launched GoS-DB, a wealth of facts and figures from PAFC’s history. A year later we embarked on a complete history of Argyle, with much-valued contributions from chapter authors. Greens on Screen is an amateur website and proud of it. It is run by one person as a hobby, although Trev's help and support has been considerable and, since 2010, Andy Chapman's hard work and enthusiasm, especially his help with GoS-DB's pen-pictures, has given us a real boost. Then there's the match-day content, which would be much the poorer without the terrific contribution of a small band of photo-taking volunteers. Greens on Screen is self-taught and as a result, a little bit quirky. Amongst a few stubborn principles, advertisements will never appear (and don’t get me started on the plague of betting promotions on other sites). It began its life before many others, including the club’s official site, when there was a large gap to be filled, and although there is now a wide variety to choose from, GoS’s sole aim, to be a service to fellow supporters, still seems to have a place. If you have any comments, criticism, bright ideas, spot any mistakes; even compliments, it's all very much appreciated. For ages now I've been rambling on about the future of Greens on Screen, simply because I can't go on forever, and 20 years seems like a good point to call it a day. Back in January I made a decision - no realistic alternative had emerged for the site, but the thought if pulling the plug altogether was just too soul destroying, so I'll carry on but I'm going to focus on what's really important - in my eyes anyway. That's what I think are the site's crown jewels: GoS-DB and the general history of the club. By the way, if that sounds like the past - that's not the case. GoS-DB is only of value if it includes every game and player, and I'm determined to keep it fully up to date, hopefully for a few years to come (goodness knows what will happen then). But during the next few months the home page will change and other features will gradually 'retire'. In a nutshell, 20 years down the road I have to start enjoying GoS again, and that means I need to rein it back. It's all my fault but I've let it grow out of control, so that now it's a constant worry rather than an enjoyable hobby. Photos have been particularly popular over the years, but the bad news is that they will not go on forever. Coverage of the grandstand redevelopment is definitely something I want to see through - that's been an enduring ambition since the horseshoe was completed in 2002. But as far as match photos are concerned, I'm afraid the tide is turning, and you'll start seeing a difference this season. In the past I would have been gutted to have missed having photos for a game, but sadly the times are now a changing. Even though the number of photos will reduce and, who knows, even fade out over the next couple of years, the issue is facing us today because we've lost one, possibly two, photo volunteers for the coming season. So it simply won't be possible to display pictures for every match this season I'm afraid. We'll do our best and hopefully we'll cover a large majority, but no guarantees I'm sorry to say. Greens on Screen's first web page appeared 19 years ago today, which is a very sobering thought! More than once in the last few years I've mentioned views on where it will all end, and last April it came to a head for me and I wrote about calling it a day once 20 years are up. That even made the papers. 1. Someone with extraordinary enthusiasm and commitment might come forward to take over GoS, and as a result, I'll be confident that the site will continue for many years to come. For me, that last bit is extremely important - I would have to be convinced that any new owner was a very safe pair of hands because the thought of it slowly withering away would be awful. I’d rather the second option if there was any doubt. 2. I simply freeze GoS in 12 months time, so that its whole range of content would continue to be available for reference but there would be no further updates or additions. The first option hasn't happened, and perhaps it was always too much to ask. Some have wondered whether that's because I raised the subject too early - a more urgent need might have focussed a few minds. The trouble with giving much shorter notice is that it will need a long hand-over, ideally a couple of years if that person needs to learn the underlying technology from scratch - as I did. So I’ve made a decision. A third option - to carry on, but in a different way. This will mean some simplification of GoS - cutting out the frills and concentrating on the fundamentals - and then I'll be taking a more chilled approach. At the moment there's a big effort after each game to get a match page and all its contents prepared and loaded as quickly as possible, and the same is true when new players arrive and for other significant events. 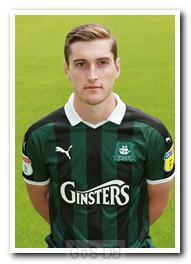 That's been a self-imposed pressure that has slowly taken its toll, so in the future the aim will still be to maintain a complete and up-to-date record of Argyle facts and stats, but to enjoy it as a hobby rather than - in my head - a duty. So if I’m not around on a Saturday night, or even a whole weekend – it won’t matter. It’ll get done dreckly. Another effect will be on match photos. It's amazing that in our 16 years of publishing photos, hardly a game has been missed, and what's more, the photographers bust their proverbial guts to get the pictures published as quickly as possible, even if it means delaying sleep until five in the morning after a long journey back from an away game. I'm very much aware that we rely on a small handful of people, and that can't go on forever, so there is a good chance that photos will become a usual feature rather than a standard one. And what age will Greens on Screen reach under this option? Who knows. It might run for a couple more years, perhaps many more, and then the question will crop up again. I've been staggered by your generosity! In the first 24 hours my immediate target has been reached, so thank you so much. However, I'm going to keep the donations button available for people who would still like to make a gesture to GoS - if you see what I mean! That will also allow me to build up a fund that means I won't need to come back to you for a couple of years, and if there is then any excess, I promise that will go to the club, in one form or another. Ever since it's first appearance in 1999, Greens on Screen has been free to access, and I am determined to keep it that way. You probably realise that I've avoided any form of advertising, partly because I don't want any commercial association with the material, but mainly because adverts on web pages detract from the content - and they're so annoying! But GoS is not free to produce or maintain, and without income from adverts, I've asked for donations in years gone by. There have been so many calls on your generosity in recent times, so I haven't asked for help for quite a while, but unfortunately the time has come when I need to rattle the GoS tin again. So if this is a bad time for you, please ignore me. If you feel you can help, however small that might be, thank you so much. If you make a donation, please understand that it is a voluntary gesture to help cover on-going costs. It implies no benefit on your part, or obligation on mine. For instance, if I decide to scale down (or even end) Greens on Screen at any time in the future, that's simply the way it is. You should also be aware that 3.4% + 20p of your donation is paid to PayPal for the cost of the service.